Diwali in India will be celebrated on 30th October. I am giving the muhurtas for the countries where there is large Indian/Hindu diaspora. I think there exists different deepavali lakshmi pujan time for different cities say in India (only a few minutes difference). Is it true? 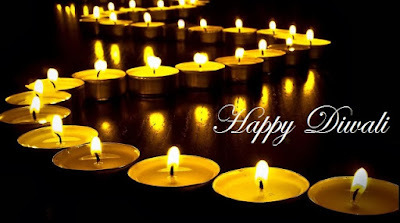 Pl post in your next article the detailed deepavali lakshmi pujan vidhi & associated mantras. Yes it is different for different cities but the time difference will only be of few minutes so I did not mentioned it separately for cities. Which oil is good for lighting lamps on diwali and on normal days? On Diwali a ghee lamp should be lighted. On other days, mustard or til oil is good. Shall we have to light main lamp with cow ghee and the remaining lamps with mustard oil (or) all lamps with cow ghee only on diwali. It is up to your paying capacity. Can we start 2 remedies ie., remedy to win over husband and after that reciting sri suktam at a time on diwali. Can you please tell which direction to keep the idol of lakshmi devi for pooja? or please post in your blog in short what all to do for lakshmi poojan? The idol should be facing towards west direction and you should be facing towards east direction. I will try to write an article on this. Gauravji I remember from one of the past articles that gemstones will be available for online purchase from Diwali. guruji please suggest a remedy for marriage & get a suitable boy for her. The girl is 16/05/1986 12:55pm Udupi born. Deepavali night is starts from 00:00 hours from 11th November right? Can you suggest any power mantra chanting for overall prosperity for persons having kaal sarp yog dosh.